New Delhi, March 20: Social media platforms, including Facebook and Twitter, agreed on Wednesday to process any request from the Election Commission to take down content within three hours during the 48-hour period before voting days. The agreement was arrived at a meeting between the Election Commission and Internet companies as part of a "Voluntary Code of Ethics" for the staggered Lok Sabha elections starting on April 11, an official statement said. The code, voluntarily agreed upon by the participants, has been developed to ensure free, fair and ethical usage of social media platforms to maintain the integrity of the electoral process and it comes into operation with immediate effect, the Election Commission said. While the code would apply for the whole duration of model code of conduct, the portion about taking down posts would only apply for the 'silence period' -- that is the 48-hour period before voting days. Chief Election Commissioner Sunil Arora said that formulation of the Code augurs a good beginning but was essentially a work in progress. He said the participants need to follow in letter and spirit the commitments made in the three-page model code document. 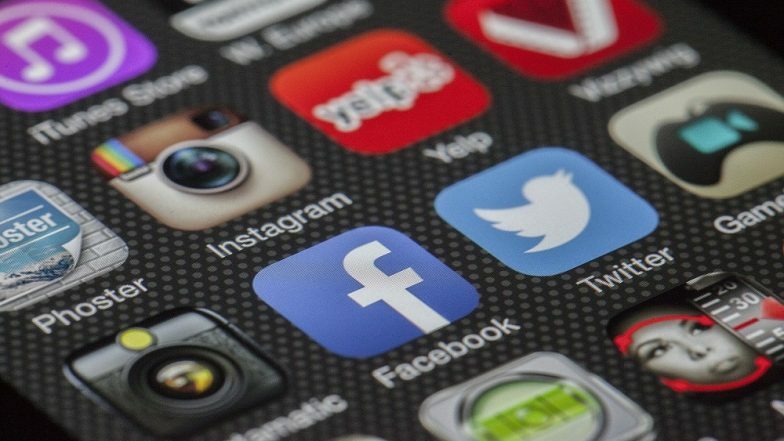 Lok Sabha Elections 2019: Social Media Could Play Decisive Role in Polls for First Time in General Elections, Says IT Expert. Also taking part in the meeting were Election Commissioners Ashok Lavasa and Sushil Chandra, and representatives of WhatsApp, Google, ShareChat and TikTok. "The platforms have committed to process any violations reported under Section 126 of Representation of People Act, 1951 within three hours as per Sinha Committee recommendations," the EC statement said. As per Section 126 of the Act, campaigning is prohibited during the 48-hour period before the voting day. The poll panel said that the online platforms also agreed to create a high priority dedicated reporting mechanism for the Commission and appoint dedicated teams for taking expeditious action on any reported violations. "Participants have also agreed to provide a mechanism for political advertisers to submit pre-certified advertisements issued by Media Certification and Monitoring Committee. The Code of Ethics also promises to facilitate transparency in paid political advertisements... Participants have also committed to voluntarily undertake voter awareness campaigns," it added. The Internet and Mobile Association of India (IAMAI) said in a statement that it would act as the liaison between the participants and the poll panel. After the meeting, Berges Y. Malu, Policy Head of ShareChat, said the company reaffirmed its commitment and looked forward to work with the Election Commission. "We are happy to be part of this and proud to have signed the ethical code document," he said. The Election Commission (EC) had on Tuesday urged Internet companies, including social media platforms, to come up with a model code document for themselves on the lines of the model code of conduct for the upcoming Lok Sabha elections as well as for the future. They, in turn, had agreed to come up with a code of ethics laying down the operational rules for the industry by Wednesday evening.